Phyllis Mattox was born in Warner Robins, Georgia on June 2, 1975. She graduated from Northside High School in 1993. Later, she received her bachelor’s and master’s degree from Savannah State University (SSU) in 1998 and 2002 respectively. 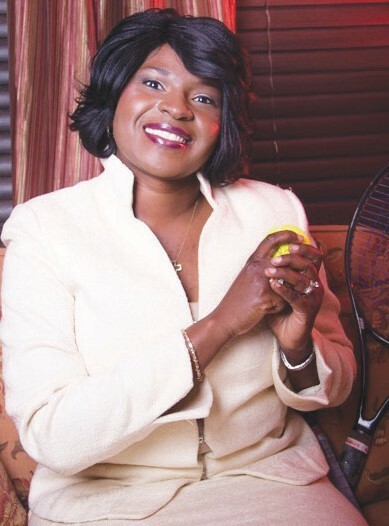 During her time at SSU from 94’- 97’, Phyllis was a dominant force in tennis, twice named Southern Intercollegiate Athletic Conference (SIAC) Player of the Year, going undefeated in singles her senior season and being on a team that won the SIAC two times during her tenure. Phyllis worked for the Duval (Jacksonville, FL.) County School System for the last nine years as a teacher and district reading coach. She was recently promoted to Vice Principal. Despite the cancer sickness, Phyllis’s spirit always remained high and energetic. She warmed the world with her infectious smile and glowing spirit. On 29 March 2014, she transitioned to her heavenly home. Phyllis was preceded in death by her maternal grandmother Sallie Pogue and her father, Luther Oliver. Phyllis’ passing is an indescribable loss to her family. She leaves a legacy love carried forward by her husband, Bubba T. Mattox, whom she married April 4, 2003; a union that produced a son, Aaron Javon aka “AJ” on November 19, 2003, her mother Gloria Oliver of Warner Robins, Georgia; siblings, one older sister, Philisa Renee (Ashley) LeGrier of Fort Stewart, Georgia; one younger brother, Quinton Maurice Oliver of New York, New York; nephews Phillip LeGrier, Ashley LeGrier and Phabian LeGrier; nieces Taylor John LeGrier and Phaedra LeGrier; a host of uncles, aunts, cousins and friends. There will be a wake for on Thursday, April 3 from 5pm-8pm at J.E. Fralin & Son Funeral Home located at 5065 Soutel Drive in Jacksonville, Florida 32208 (904-924-9400). Funeral Services will be held at 12 noon at Truth For Living Ministries located at 159 Clark Road in Jacksonville, FL 32218 (904-765- 5323). The viewing will be from 10am-12 noon.